The content of our mind is shaped by our values, and all actions are a reflection of how we perceive our world. Priorities and reactions in life are determined by what we value. Regardless of whether we acknowledge our values or not, they are there, and they do influence every decision and action that we take in life. One of the clearest and easier-to-relate-to value system that I encountered and that continues inspiring me is The Four Agreements of Don Miguel Ruiz. Find the courage to ask questions and express what you really want. Communicate with others as clearly as you can to avoid misunderstandings, sadness and drama. With just this one agreement, you can completely transform your life. Your best is going to change from moment to moment; it will be different when you are healthy as opposed to feeling sick. Under any circumstance, simply do your best, and you will avoid self-judgement, self-abuse, and regret. We feel content and happy when our actions are aligned with our core values, we experience a life that is good. Continue your deeper search for meaning here. Imagine your nose is blocked, and you can only breathe with your mouth! Something so unnatural, like walking on your hands! Due to the nose septoplasty surgery (where a doctor corrects deviated septum by straightening it and re-positioning it in the middle), I spent 2 weeks breathing with my mouth only which made me realize how nothing in this world matters more than our breath. When the day of a surgery came, I was calm, not thinking of what it could be like. I was actually even looking forward to the general anaesthesia as I had experienced it once and remembered it being fun. Losing conscious totally, feeling a bit drowsy afterwards? 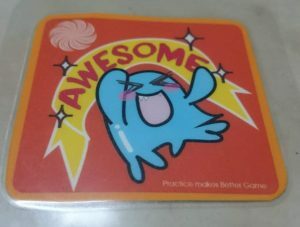 Will be cool! I was encouraging myself. Obviously my mind removed all the bad memories of that day as it was several years ago. 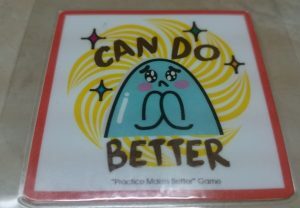 Anyways, there was no stepping back when lying down on the table, breathing in through my nose for the last time – so, the least I could do was looking at it from a positive perspective, right? And then the reality hit me. Pain! Welcome! You wanted fun? Here it is! Angry voice (or is it actually that wise voice I was ignoring until now?) appeared in my head. Thankfully, there are pain killers. I was actually pretty glad for all those legal drugs they stuffed me with to make this suffering a bit more bearable. When you are overwhelmed with pain, so severe that there is barely something else you can focus on, you are glad for whatever brings you a slight relief. In that moment, I felt empathy and understanding for all the drug addicts. Yet, at the end, as even the effect of a painkiller faded away, I had to decide to accept the pain counting on its impermanence. Then, as my nose was swollen, ears, upper lip, teeth and throat hurting, I realized how much everything is connected in our body. Isn’t it like that in our life too? You mess up one part and another one gets affected? Pure domino effect! Yet, what bothered me the most was the inability to breathe through my nose as it was blocked completely. I could breathe only with my mouth which is primarily not meant to do that! You know the feeling when you are forced to do something you don’t really want to but there is no other option? A rebel within me was totally furious but I just had to shut that part of myself down and keep following the instructions with trust and patience. Yes, another nice metaphor for life, what an irony! I thought. What if this is the last day of my life? Being frustrated and in pain, it was funny to observe my mind travelling to the moments in my life when I had felt similar but thought I had already forgotten about them. Thanks to this post-surgery time, I recalled a bike trip up north in Ladakh, India remembering myself and my friend reaching Pangong Tso Lake, 4250 metres above the sea level. 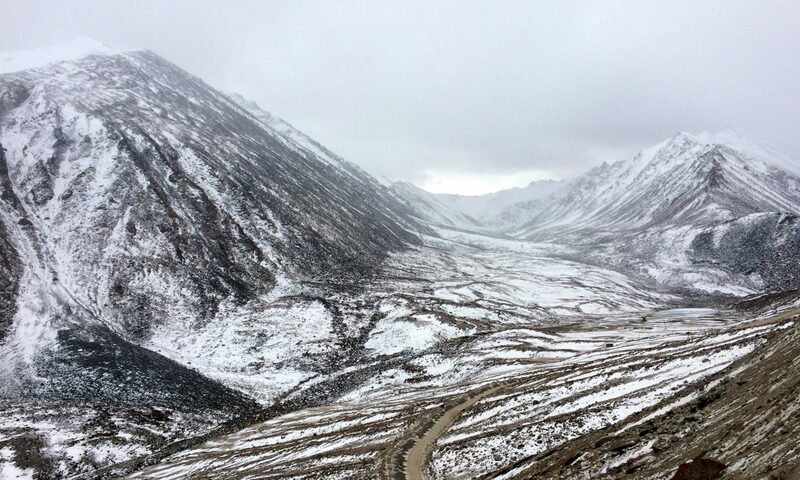 It was a cold November day (never go to Ladakh in November, bad idea! ), and we felt pretty exhausted after a long ride, yet happy to find the only open guest house where we could get something to eat and warm up our limbs a bit. I had pictured that moment of lying down on a bed and taking a rest numerous times during that day. What I surely had not pictured was catching a high altitude disease that night: remembering myself not being able to catch a breath, breathing through my mouth only, trying to desperately collect some oxygen to survive, even thinking this could possibly be the last day of my life. Luckily, none of that happened, and I started to get better when descending down. Why would my mind bring me this memory again? I wondered with my mouth open, inhaling and exhaling while lying down on a hospital bed. And then I got it. Total Hallelujah realization! This all happened to remind me of the importance of my own breath! Something I take for granted and don’t even think of so many times during the day, something I am not always aware of. But it is the breath which keeps me alive. It is the breath which calms me down when I feel under a pressure. It is a deep breath in and out bringing freedom to my soul, helping me to feel less stuck. This simple, yet extremely precious gift! How could I forget about it? We breathe, so we are! Now, as I could not take a refreshing breath through my nose, I felt jealous of everyone who could. Hey, people! Wake up! I wanted to tell them. You can breathe, can you hear me?! No matter what worries you carry, no matter what duties are waiting for you. None of that matters as much! Because you can breathe! And that is the most precious gift of all. Breathing, the most miraculous part of being alive, does not only bring oxygen to our body so it can function properly; it has a positive effect on our mental health too when used in a right way. Breathing technique can relax our mind and body, it can release the tension and anxiety. When practising for some time, one can experience bliss, a meditation-like state which is a real journey within. Inhaling new positive energy and letting go of all that does not serve anymore – exhale by exhale. My post-surgery time was over, and I could breathe again! With such gratitude and joy like never before! We should indeed appreciate that we can take a deep breath in to refresh ourselves, and appreciate that we can breathe out to make us feel lighter. This only matters. Everything else is just an addition to that. We breathe, so we are. And breathing with a full awareness, using it as a relaxation technique can take us to another level. Just try it yourself, you may actually discover the whole new world. Ready? 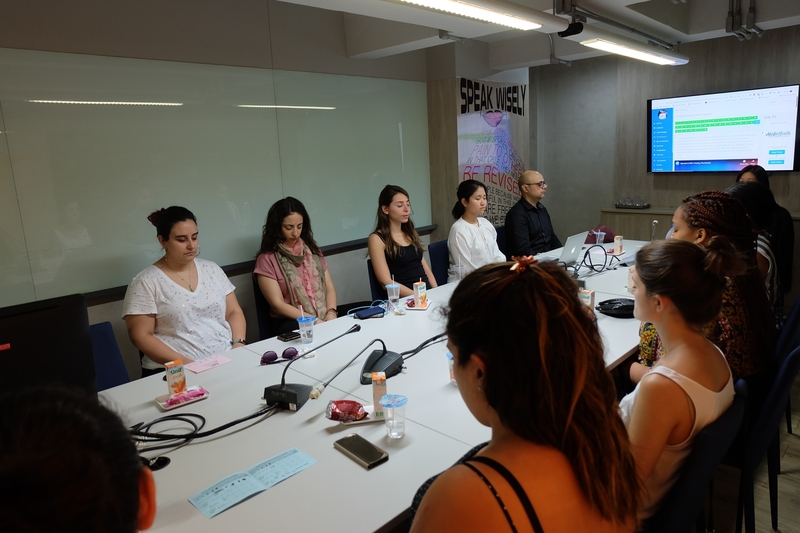 On 19th of March, nine visitors from Harvard Graduate School Of Education and Harvard Kennedy School visited World Peace Initiative Foundation (WPI) headquarters in Thailand to learn more about Thai education system, global education trends and policy recommendations. 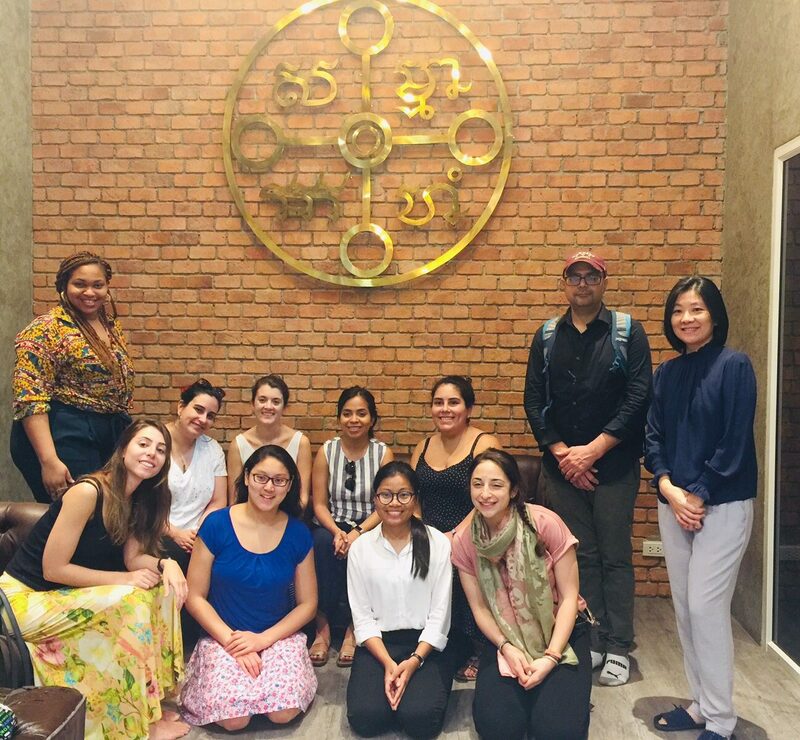 The group from Harvard were interested in how we apply mindfulness and soft skills to education curriculum. 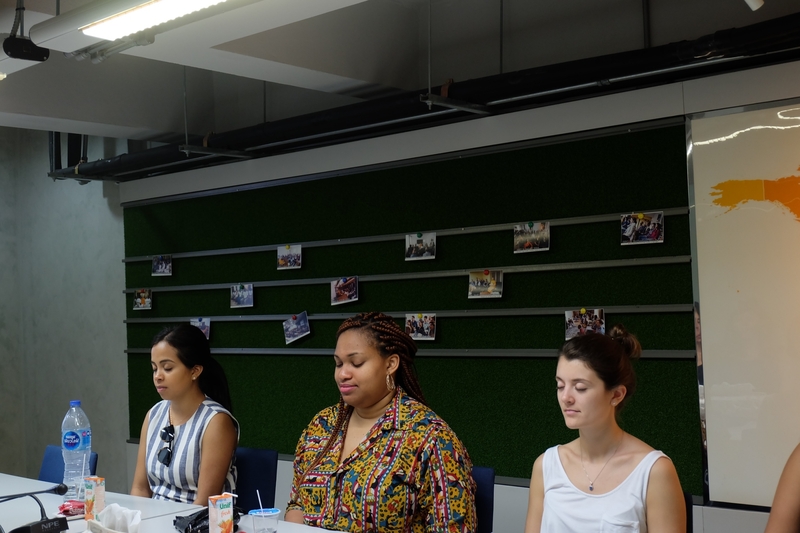 So, during the visit WPI team presented the Peace Revolution project explaining about the PIPO (peace in, peace out) concept, how the project started, how it grows and the online platform that it offers along with a community that shares the interest in self-development through mindfulness and meditation. The guests also had an opportunity to try a short meditation led by the CEO and co-founder of WPI, Ping Ping Worakate. Moreover, they showed a positive interest in WPI meditation retreats and the self-development program. How to develop new skills through meditation? Meditation is still a taboo in some cultures of the world. Even in the circle of people who meditate today, many do not yet know how meditation can actually help them. 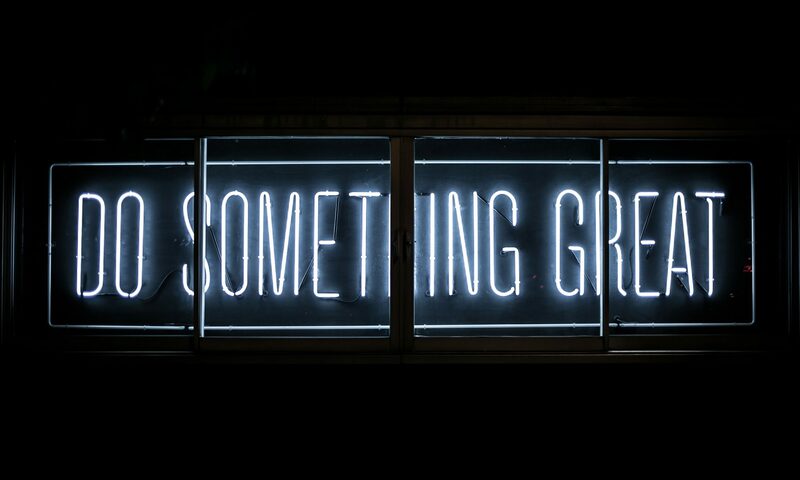 In this article, I share some of my experiences after 5 years of meditation practice while explaining how to develop new skills through meditation. It was in 2015 when I longed to succeed without knowing how. At the time, a friend spoke to me about meditation as a tool for relaxation, self-control and self-confidence. The second argument convinced me because I was a very nervous person who did not know how to control his anger. Although I was often right, my anger played a lot against me in many situations. Very often, rather than being the one who is right, I found myself as the one to be blamed by everyone. I lost opportunities, I lost people who are dear to my heart, because of my inability to control my anger. 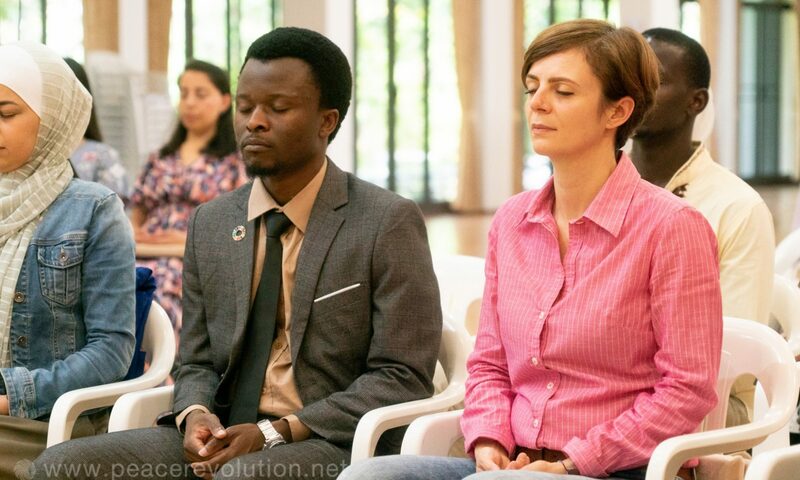 If you are in such a situation, I invite you to join PEACE REVOLUTION, because it is on this platform that I had the chance to begin my practice of meditation. I am today far from the best version of myself, but I can reassure you that many things have changed in my life both personally and professionally since I began to meditate. In 2015, I only had the intellectual capacity to teach and animate radio programs. So, I was a teacher and a journalist. One might wonder about the relationship between skills and meditation. Yet, one of the things that meditation helps us develop is self-confidence. With such a weapon, we are able to make the impossible possible. Self-confidence pushes us beyond conventions to help us discover our innate talents. It is because our mind is not peaceful and quiet that we cannot see beyond our limits. Indeed, all the answers to the different questions that we ask are already within us, and it is in this that meditation helps us develop new habits, formerly beyond our reach. I would like to start from the premise that I was a teacher and a journalist in 2015, without any other classical training and without any other aptitude. After only 2 years of meditation practice, I found myself in a professional world completely different from what I have always been. 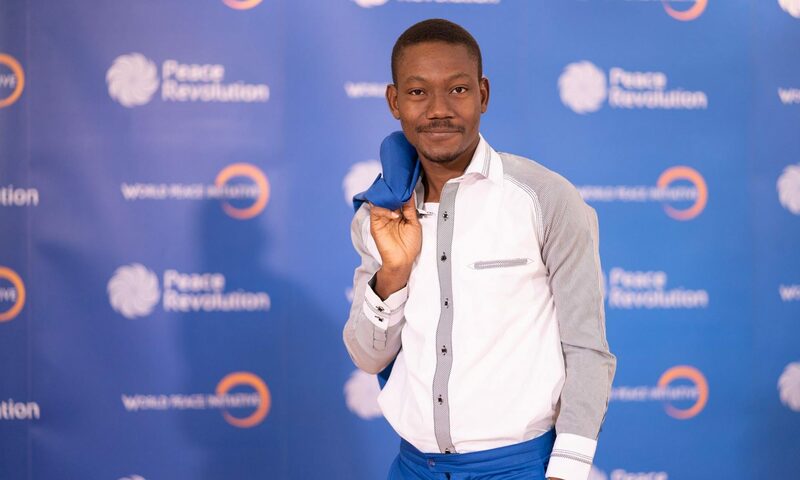 First of all, I found myself as a TV host, then I had the ability to manage community projects and recently I have become a digital strategist. I have also quickly and easily learned to develop new skills such as Web Marketing and Personal Branding. I excel in graphic and video editing, as well as in the creation of websites. Things formerly beyond my reach have become possible today. But how? Mediation is a mental exercise that helps us find the calm of our mind in order to seize all its resources. Human beings cannot succeed or prosper because many things prevent them. We run after things of this world forgetting to take care of our spirit. The mind is the engine that makes everything start in our life and its potential is infinite. When we have the chance to access this potential, everything becomes possible and nothing is impossible. Meditation is therefore the tool that allows us to take control of our mind and become a master of our life. If you want to learn to meditate, you can start your own experience by registering for free with the Self-Development Program (SDP) available online on the PEACE REVOLUTION website. Like peanut butter and dark chocolate, Jersey and traffic are as common a pairing. Hardly as delicious as the former, the latter sometimes lends itself to getting one’s creative gears going. With the right song and head-space, you can easily find yourself at your destination before you know it! 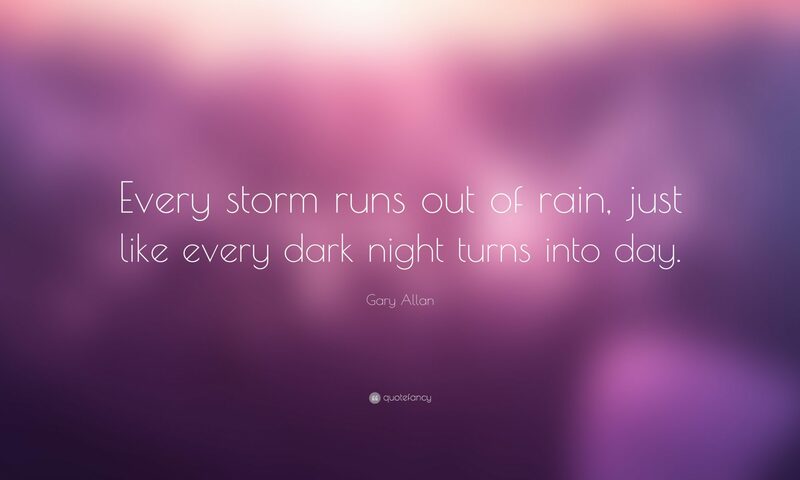 One song that was recently on the radio was “Every Storm” by Gary Allan. I hadn’t heard it in a while, but had liked it enough before to have downloaded the single years ago. As I listened to it after a while, it got me thinking about the negatives we all sustain in our lives, and how we get through them. From there, I began to think about negatives from the past, in the present, and those that may occur in the future. However, it wasn’t so much with a depressed viewing, contrary as that sounds; but with an understanding of the positives that can come from each time frame. As you get old enough, it becomes easier to pinpoint some negative examples from your life as you gain experience. Losing a relative is a common one, and if it’s someone you’re especially close with, a jarring one for sure. You were probably experiencing a lot of bad emotions and devastation during that time, and found it hard to concentrate on much else. “Every storm runs, runs out of rain” is the beginning of the chorus in the song. Now as hard as the above example was, there does seem to be some truth to that? This, of course, depends on the person and situation, but looking back on those past examples, how do you feel now? Sure, sad, depressed and/or longing could easily describe those emotions; but you’re here, now, after sustaining those negatives. The pain isn’t as raw if you’re far enough removed, and you’re literally experiencing the clear skies from that dark time. Most people can at least name one, if not multiple, and the hope is – it’s not that serious and/or common. But as you’re wading through the muck of those examples, is there someone at your side helping you through it? If not, are you finding that you’re able to fight through it on your own? Is it moving you to make better decisions, and/or course correct where need be? If you answer “no” to any of that, consider what the positives behind changing your thinking could do for your present state. However, if you answer “yes” to any of those questions, then you should hopefully find some positivity through that as well. For example, if you can’t get traction with an artistic endeavour, the hope is you still have people around you to encourage you to keep going. If they’re few and far between, then let the light of your creativity keep burning, if for no other reason than the love of your art. The point is to appreciate the positives behind those at your side that keep you motivated, and or your personal determination to see your project through. Well, no one wants to think about this but let’s be honest, we all do. Again the variety of ways negatives could manifest in your future are many. I won’t even use one as an example because especially as a positive thinker, I’d be going against the type to really delve into that head-space. But, don’t mistake positive for naïve, as, trust me, quite a few do! None of us are going to get to the finish line without sweating, an untied shoelace, and/or a shin splint or two. And if that sounds negative that’s because it is; but it also allows you to appreciate the abundance in your life now. If that’s lacking, then changing your outlook and energy could not only benefit you today, but every tomorrow that you’ll have for the rest of your life. If nothing else, this should focus your determination to never let the negative win out. You survived your past examples, scarred but still standing. Your present negative status may be bogging you down, but you can and will get through it if you focus enough on the positive energy within you. And the future may yet be explored, but you can prepare for any eventuality as best you can by knowing that the negative will never be permanent… Because it doesn’t have to be. “So hold your head up and tell yourself that there’s something more, and walk out that door.” That’s another line from the song, and very much represents the theme of this entire article. Have you been able to take the positive from the negative at any time in your life? As wide ranging as they can be and/or potentially devastating, focusing on the best will help you get through the worst. And whether that door from the song is physical or not, use the negative to learn from, and to leave past and excel. Because the past is gone, present is all around us, and future is yet to be. Do you ever feel completely helpless and lousy? I have good news – this happens to everyone, and this is why you can choose either to dive into this feeling or remind yourself that all feelings are ok. In this article, I will talk about happy habits. I will show you how to remind yourself: things will be fine, even in those moments when everything seems hopeless. Your body and mind are interconnected, at this point of your being alive they cannot be separated. Everything you do to your body will affect your mind. Do something good for your body: 1) exercise, it will change chemical balance and make you happier; 2) get a massage and give yourself enough relaxation; 3) always sleep enough. People who don’t sleep end up being useless walking around like zombies. When you learn to be nice to those people you don’t know, you will also be nicer to yourself. Go in front of the mirror and frown – how does it feel? Now smile – how does it feel? No comment. Smile as much as you can! Humans are empathetic beings. Our mirroring neurons can literally make us feel what another person is feeling at the moment. When people around you are happy, satisfied, grateful, so will be you. Become the creator of good human environment for yourself – surprise your loved one with a cup of tea, a pleasant gift, a massage, or a chore that you do for them. When you go on a date alone, you can do exactly what you want, no need to compromise anything. This practice is important for two reasons: 1) you allow yourself to want something; 2) you practice asking yourself what you want and giving it to yourself. Once you do it, you become happier, and people around you react to your happiness, mirroring you. Learn more about artist dates and creativity recovering in Julia Cameron’s book the Artist Way. 5. Humans have feelings. It is ok to feel what you feel. – I want to feel everything this life brings me, – my friend said. – I want to only feel happy all the time, I don’t care about anything else, – I responded. Looking back to this conversation which happened 3 years ago, I realize how blind it was of me to expect myself always to be happy. It is like having sunny days without nighttime or rain, like summers without winters. It is ok, but a bit flavourless. Whenever you encounter a state you aren’t enjoying, or feeling something weird and uncomfortable, I congratulate you – you are out of your comfort zone, and you are growing! It is one of the most amazing and rewarding experiences in life to grow! Go for it and be brave! Growth will reward you with happiness, and once you drop your expectations of always being happy, you will see how you let go a lot of tension too. Which one of these tips will you practice today? Let me know in comments! When you need to relax and reset yourself from this busy world, do a ten minute guided meditation. If you enjoy it, consider joining our free 42 days online self-development program. Remember – only you decide how bright you shine. 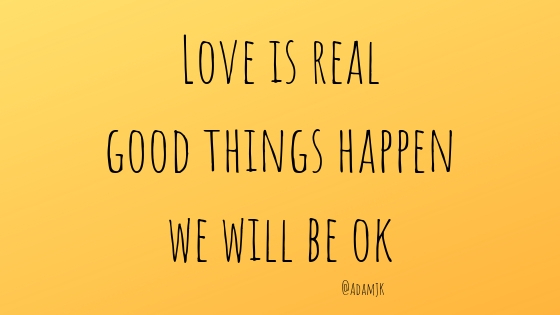 Love is real, good things happen and we will be ok. 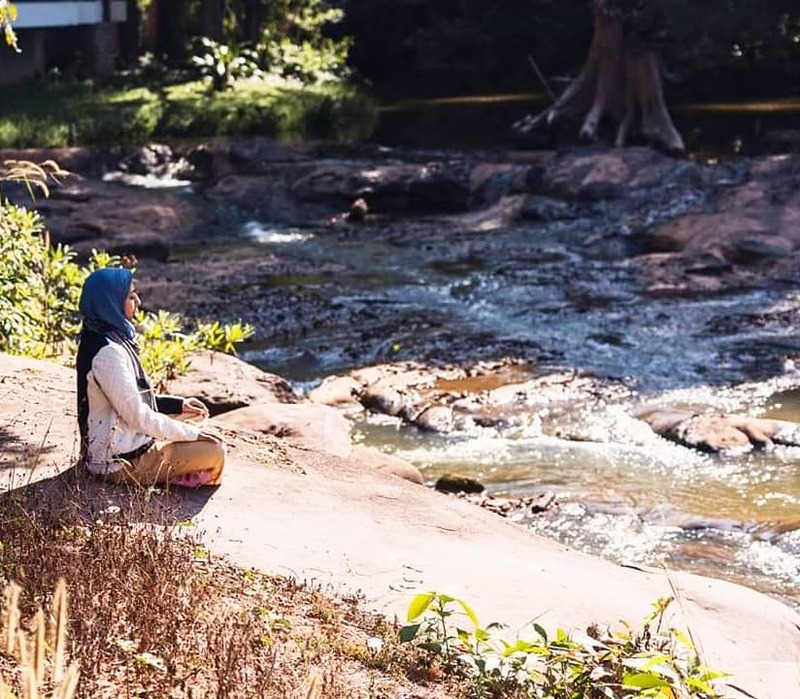 If you enjoyed this article, read more of me in Morning rituals to start your day, How to sit during meditation and 4 ways traveling makes you grow.